State of Indiana is Latest to Fight Anti-Israel BDS Movement - Breaking Israel News | Latest News. Biblical Perspective. The Indiana House of Representatives this week passed new legislation that targets businesses or other entities that engage in the anti-Israel Boycott, Divestment and Sanctions (BDS) movement, marking the latest victory in the fight against BDS on the U.S. state level. House Bill 1378, which was introduced by Indiana House Speaker Brian Bosma and was passed unanimously by the legislature on Jan. 25, requires “the public retirement system to divest from businesses that engage in action or inaction to boycott, divest from, or sanction Israel.” The bill’s next stop is a vote in the Indiana Senate, followed by the governor’s desk. “Speaker Bosma’s leadership role in support of Israel places Indiana at the forefront of states taking a strong position in favor of the United States’ closest ally,” Elliot Bartky, president of the Jewish Affairs Committee of Indiana (JAACI), which was at the forefront of lobbying efforts for the new measure as well as different anti-BDS state legislation last year, told JNS.org. The latest legislation is the third pro-Israel measure sponsored by Bosma since 2011. Last year, Bosma introduced a resolution that condemned the BDS movement; the move was inspired by an earlier anti-BDS resolution that was passed by Tennessee’s state legislature. Following in the footsteps of Tennessee and Indiana, three other states—New York, Pennsylvania, and Florida—last year passed similar legislation condemning BDS, while Illinois went even further by passing a bill that prohibits state pension funds from including in their portfolios companies that participate in the BDS movement. Early this year, a California state legislator introduced a bill to ensure that California doesn’t contract with businesses that engage in boycotts based on race, color, religion, gender, or nationality. The Florida Senate, meanwhile, recently passed a resolution that requires a state board to identify all publicly funded companies that are boycotting Israel or are engaged in a boycott of Israel. JAACI’s Bartky noted the importance of the Indiana bill at a time when anti-Jewish behavior is rising locally, nationally, and internationally. 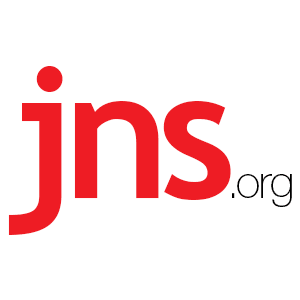 “In Indiana, there is a growing movement on university and college campuses to demonize Jews and Israel,” Bartky told JNS.org. According to Bartky, public funds have been used to sponsor anti-Jewish and anti-Israel programs on local Indiana campuses, such as Indiana University-Purdue University Indianapolis (IUPUI). Bartky’s group tried to get the university’s administration to distance itself from an anti-Israel speaker, Rima Najjar Merriman, who presented at IUPUI in a talk dubbed “Why Boycotting Israeli Universities is the Right Thing To Do,” but the administration did not follow through. At the same time, pro-Israel speakers were verbally attacked on the campus. Allon Friedman, vice president of JAACI and a faculty member at the Indiana University School of Medicine on the IUPUI campus, was called a “Jewish Zionist” on Merriman’s Facebook page and was told by the university administration that free speech rules allowed anti-Semitic speech on campus. Friedman told JNS.org that he hopes the anti-BDS bill will be followed by more moves to put an end to anti-Semitic incitement at Indiana schools and elsewhere. “We thank Speaker Bosma for his leadership and hope that the fight against anti-Semitism in Indiana will inspire others to commit to fighting the spread of anti-Semitism at home and abroad,” Friedman said.